Born in Ryton, County Durham, Kendall joined Preston North End as an apprentice and stayed with the club when he turned professional. He was a runner-up in the 1964 FA Cup with Preston, and at 17 years 245 days was the youngest player to play in a Wembley final. In 1967 Kendall joined Everton, where he played in midfield with Alan Ball and Colin Harvey, the trio gaining the nickname "The Holy Trinity". With Everton he won the First Division title, the Charity Shield, and was again an FA Cup runner-up. He became Everton captain for three years before being sold to Birmingham City in 1974. Kendall joined Stoke City in 1977, where he became a player-coach and helped the club achieve promotion from the Second Division. Kendall joined Preston North End as an apprentice in 1961. He turned professional in May 1963 and played in the 1964 FA Cup Final against West Ham United. At the time he was the youngest player to appear in a Wembley final, his place in the side coming due to the regular left-half Ian Davidson being suspended by the club for an unauthorised trip to Scotland. He was aged 17 years 345 days and was the youngest finalist since James Prinsep played for Clapham Rovers in the 1879 final aged 17 years 245 days. Kendall never played for England at senior level, but won caps at Schoolboy, Youth and Under-23 level, captaining the England Youth side to victory in the 1964 Little World Cup Final. In June 1979 Kendall was appointed player-manager of Blackburn Rovers and took the team into the Second Division in the 1979–80 season. In May 1981 Kendall returned to Everton as player-manager, in the hope of restoring the club to its former glory, although he only played four games before finally retiring as a player. Initially he struggled and was on the verge of being sacked in January 1984 when results began to pick up with Everton reaching the League Cup final (losing to Liverpool) and winning the FA Cup (beating Watford) at the end of the season. In the 1984–85 season, Everton won the League Championship, finishing 13 points clear of runners-up Liverpool, and the European Cup-Winners' Cup, defeating Austrian side Rapid Vienna, and reached the final of the FA Cup. Everton narrowly failed to win both the League and the FA Cup in 1985–86 – second in both to Liverpool – but in 1986–87 won the League again, nine points clear of Liverpool, as the Merseyside clubs continued their stranglehold on the English game. Kendall died on 17 October 2015 at the Southport and Ormskirk District General Hospital at the age of 69. 1 2 3 4 Shearyadi, Eddy. "The Difference Between King Kevin Keegan and Howard Kendall". The Bleacher Report. Retrieved 27 January 2010. 1 2 3 4 Galvin, Robert. "Howard Kendall". National Football Museum. Archived from the original on 15 November 2007. Retrieved 27 January 2010. 1 2 3 4 5 6 "Howard Kendall: One third of the Holy Trinity". Daily Mirror. Archived from the original on 28 April 2014. Retrieved 27 January 2010. 1 2 3 "Players - Howard Kendall". Everton FC. Retrieved 12 November 2015. 1 2 3 4 5 6 7 "Stoke City Heroes - Howard Kendall". The Oatcake Archive. Retrieved 26 February 2013. 1 2 Wheelock, Paul (15 June 2015). "Glenn Keeley: Howard Kendall will go down as one of the great Blackburn Rovers managers". Lancashire Telegraph. Retrieved 3 November 2015. 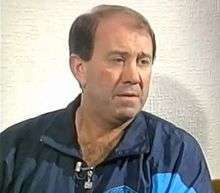 1 2 "How Howard Kendall saved his job at Everton and won the FA Cup in 1984". Guardian. 20 October 2015. Retrieved 20 October 2015. 1 2 3 4 5 "Howard Kendall, Everton FC manager - obituary". The Telegraph (21 October 2015). Retrieved 12 November 2015. 1 2 3 4 "Managers - Howard Kendall". Everton FC. Retrieved 12 November 2015. 1 2 Lacey, David. "Everton's league winners in 1986-87 were worthy of 'unstinted praise'". The Guardian. Retrieved 12 November 2015. ↑ "Legends - Trevor Steven". Toffee Web. Retrieved 12 November 2015. ↑ "Legends - Andy Gray". Toffee Web. Retrieved 12 November 2015. ↑ "Legends - Gary Lineker". Toffee Web. Retrieved 12 November 2015. ↑ Gradwell, Phil (17 March 2009). "Should Joe Royle have gone back to Oldham? It isn't always a good idea..". Daily Mail. London: Associated Newspapers. ↑ Gleeson, Paul. "Howard Kendall on Bilbao". Spiel Magazine. Retrieved 4 November 2015. ↑ "The Glasgow Herald - Google News Archive Search". google.com. ↑ Statto Organisation Ltd. "Manchester City Home Page for the 1989-1990 season - Statto.com". Statto.com. ↑ "New Straits Times - Google News Archive Search". google.com. ↑ "'New Rossi' benched and Italy's on edge". Toronto Star. 2 June 1990. ↑ "England names Taylor coach". Toronto Star. 16 July 1990. ↑ Rice, Simon (14 April 2011). "Manchester City v Manchester United: The greatest meetings". The Independent. London. 1 2 Rowbottom, Mike. "Football: Hopkin's late hit has Palace glad all over". The Independent. Retrieved 4 November 2015. ↑ "Howard Kendall dies aged 69". Eurosport British. 17 October 2015. ↑ "Howard Kendall obituary". Guardian. 18 October 2015. Retrieved 20 October 2015. ↑ "Howard Kendall". Soccerbase. Retrieved 17 October 2015. ↑ Groom, Andy (2014). 101 Interesting Facts on Everton: Learn About the Boys From Goodison Park. Apex Publishing Limited. Retrieved 11 November 2015. ↑ "verton v West Bromwich Albion, 18 May 1968". 11 v 11. ↑ "Howard Kendall". Toffee Web. Retrieved 18 October 2015. ↑ "Love Affairs & Marriage". When Saturday Comes. Retrieved 4 November 2015.